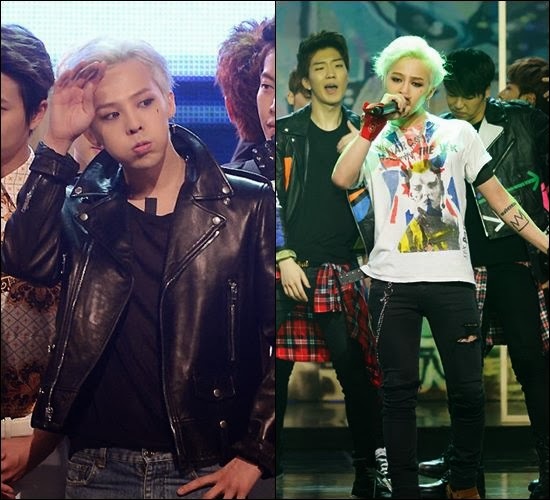 Big Bang leader G-Dragon has set records with four of his songs winning the charts on TV music programs. G-Dragon released his new album “Coup d’etat” earlier this month and has since been promoting his music on TV. It is rare for a K-pop artist to win the TV K-charts for different songs from one album but with the strong popularity and sales of the tracks in his album, G-Dragon was able to achieve this. According to YG Entertainment, G-Dragon won the music chart for “Black” last Sept. 12 on Mnet “M Countdown” and then he won for “Coup d’etat” on SBS “Inkigayo” last Sept. 15. He then won the chart for “Crooked” on the Sept. 22 episode of “Inkigayo.” It was belatedly announced that G-Dragon won the K-chart for “Who You?” on KBS “Music Bank” last Sept. 20. “At its best, K-pop is gloriously synthetic, and G-Dragon is a miraculous canvas to work with. He morphs easily into almost any style, he moves with panache and confidence, and he has a perpetual sense of theater about him. His is a version of pop stardom all but abandoned in this country,” according to the Times article written by Jon Caramanica. “Coup d’etat” is described as “the K-pop album with America most heavily on its mind and in its credits, thanks to a clutch of collaborations with American stars.” Miss Elliott, Diplo, Baauer and Sky Ferreira are part of G-Dragon’s album. “G-Dragon has no American male pop-star equivalent; the closest in recent memory would be Justin Timberlake from peak-era ’N Sync. His malleability is more reminiscent of female stars like Lady Gaga, Kesha and Nicki Minaj, all of whom are as much about the packaging as what’s inside,” according to the article. “But he’s capable of exciting musical synthesis, and the more he lets his appearance inform his music, the better off he’ll be. Before long, it’s likely the borrowing will be going in the other direction, with the world learning from him,” the newspaper said.